In my teenaged and you adult days I always struggled to be more “feminine,” and fit in by hanging out at the mall or at the arcade. I never really talked about air cadets with my school friends and I never really expressed my passion for swimming, climbing, survival and hobbies like seeing and knitting. It wasn’t because I avoided it, it’s just that it never came up and everyone else around me talked about movies, games, fashion and music. It was when I finished high school and I had to support myself, that made me prioritize what really made me happy. I made new friends, from working in aquatics and began to travel the country visiting old cadet friends. 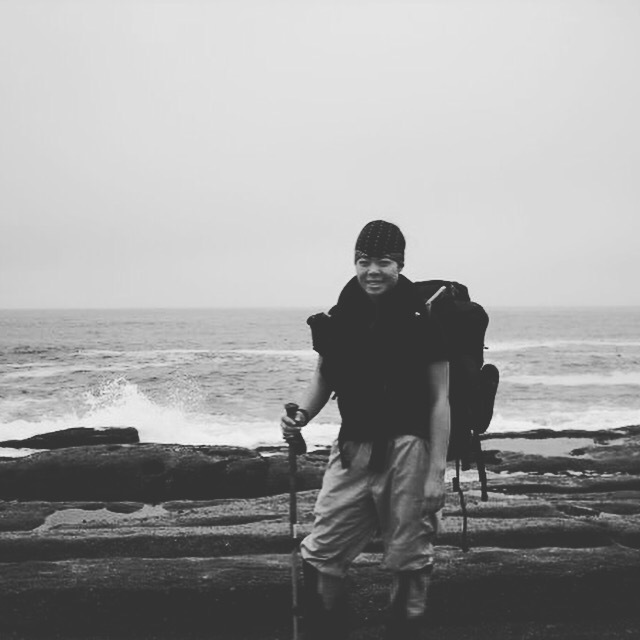 Going on the West Coast trail when I was 20, was the first back country I did with civilian friends. I learned about camping luxuries like stoves, lightweight tents and packs and gators. I remember thinking about how I was going to pack all my food in a steel frames ruck sack, when my boyfriend at the time gave me one of his multi day packs. I also remember him showing me how to use his stove and at the last minute I decided not to take it because I felt more comfortable just cooking over the fire. It was like teaching a caveman modern day camping technology! I smile to think that I still really haven’t come that far. I guess I’m a hopelessly old fashioned. Anyways, when I look at this photo I think that this was the year I started smiling real smiles with full teeth and a happy heart. Imagine, I know it’s difficult, but for many years if you were to look at my photos from grade 1 to grade 12… I never smiled with my eyes or teeth. This entry was posted in Adventure stuff, Inspirational, Royal Canadian Air Cadets, Travel and tagged air cadets, first time, modern camping, survival, wct, west coast trail by melbaseto. Bookmark the permalink.